The Mission of Rabbi.com is to inspire greater Jewish participation. 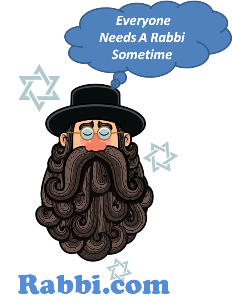 Our agenda is simple: Rabbi.com is all about spreading positive Jewish ideas. On Rabbi.com, we’re building a warm, welcoming, inclusive community of curious souls to engage with ideas and spark conversations with each other.